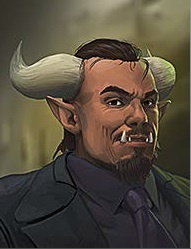 Nikolai Morozov – Evo Corporation Division Manager – male troll. - Close business partner with Atlas over the past 10 years. - Big fan of Marial Arts and Atlas (from his days of competitions). - Recruited Atlas after he was run out of Japan by rival martial arts groups. - Feeds Atlas smuggling runs for Evo and other corps. - Has been taking personal martial arts lessons from Atlas and Jason Park (Atlas’ brother). - Serves as Atlas’ hook-up for all his bioware.